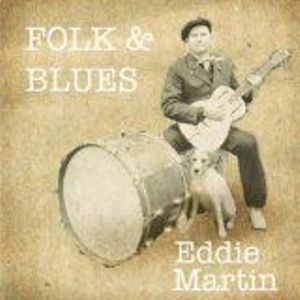 “Folk and Blues” – a rootsy mix of original songs and instrumentals with pure acoustic arrangements. His 11th album features a slew of tunes stripped down to their essence, shining the spotlight on a Londoner’s transatlantic touring experiences and musical development, which combines Delta-hardened slide with pretty finger-picking dexterity in the Jansch-Graham tradition. Alone in the studio with his engineer son, the album was recorded live with no overdubs in just three days. This, not-to-mention the fact that Martin wrote and played everything, produced and even did the artwork, begins to account for the honest, personal nature of the album. All this combines to draw the listener in to a simple, yet emotionally powerful musical landscape, upon which his blues and folk-fuelled narratives and tunes are painted. The album also captures the engaging vitality and humour of his one-man-band live shows, especially in the whooping solo harmonica piece. It features 12 original compositions including 3 instrumentals which spotlight the master musicianship that saw him nominated in both the Best Guitarist and Best Harmonica Player categories in this year’s British Blues Awards.